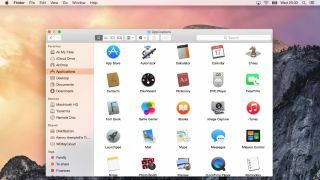 On January 23 Google's Project Zero publicly exposed some vulnerabilities in Apple's current operating system, OS X Yosemite. Today, Apple fixed them. The security holes could have let attackers take control of users' desktops, but the update to OS X 10.10.2 patches them, according to Apple's notes. These flaws also included Thunderstrike, a vulnerability that was exposed earlier in January. This isn't purely a security update, though. The newest version of Yosemite also fixes bugs with Safari pages, VoiceOver, audio and video syncing with Bluetooth devices, and even the persistent Wi-Fi issues you may have heard about. Oh, and it finally lets you browse through iCloud in Time Machine. OS X 10.10.2 is available now for all Mac users.